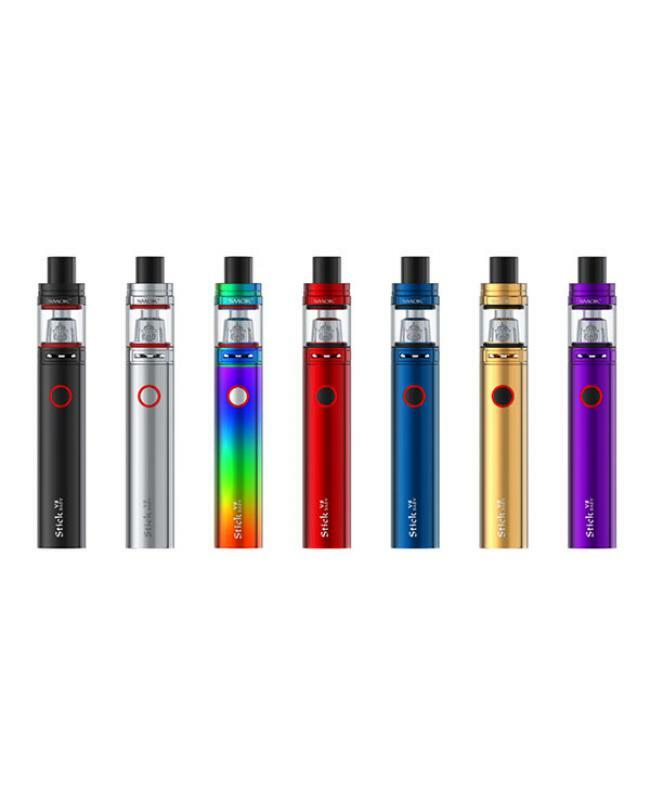 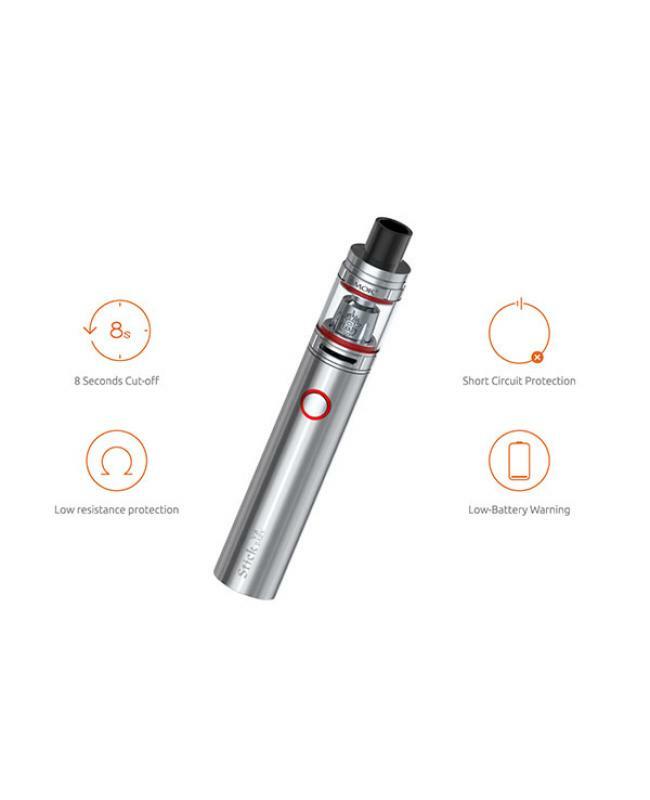 The Smok Stick V8 baby is the newest mini size vape pen, made of stainless steel and pyrex glass, this time smoktech provide two different versions, the standard version and EU version, the EU version is compatible the TPD new rules. 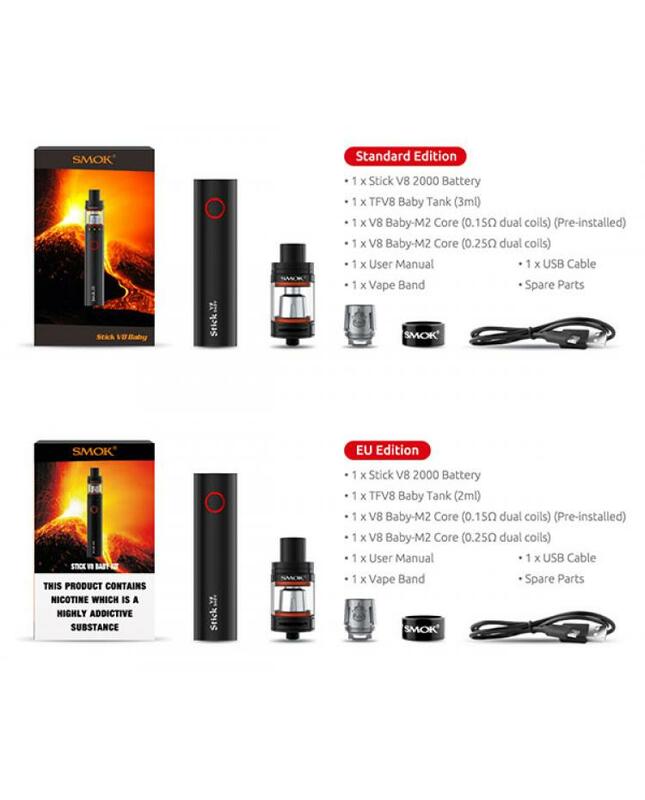 the kit includes TFV8 baby tank and stick v8 2000 battery. 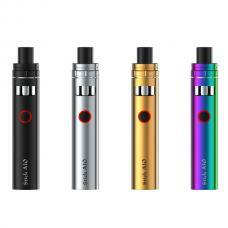 seven fashionable colors avaliable, the 2000mah battery capacity is powerful and durable, brings you massive cloud of vapor, the intelligent battery indicator will show clear prompts, if the battery indicator blinks 4times each time you take a puff, when it blinks fast with 15times, it indicates that the voltage is lower than 3.3v, you need to charge it. 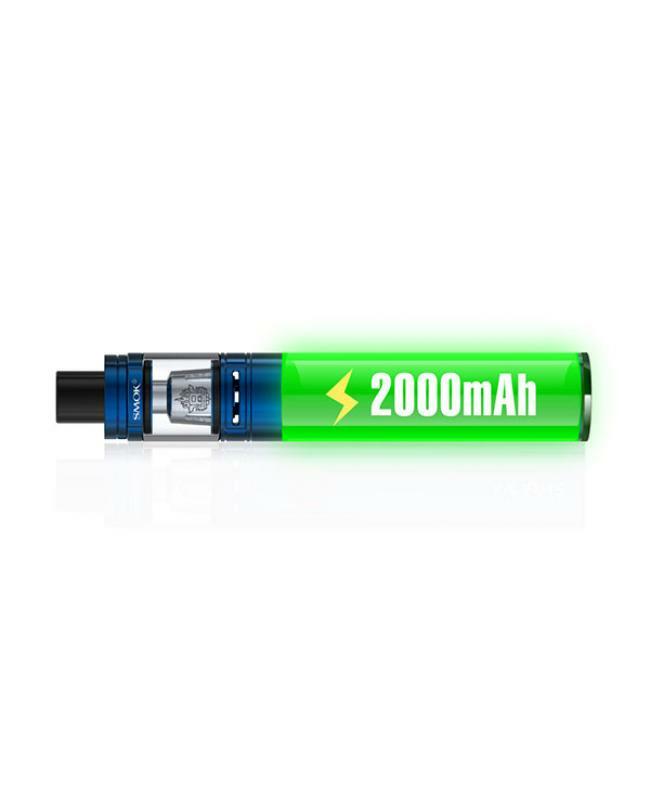 the stick v8 2000 battery built-in multiple protections to keep the vape safe and reliable. 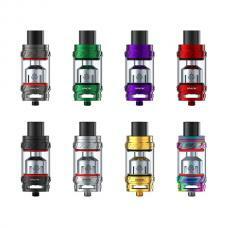 the TFV8 baby tank is the brilliant cloud beast tank, comes with v8 baby-M2 coils, which will deliver huge vape cloud with nice taste flavor.